Um. Yeah. So we made it home. Safe and sound. Sorry we didn’t call when we got in. We have readjusted to life in the USA pretty well, sharing lots of local (much missed) food with friends and family, driving in insane traffic, and watching Braves games. We have gotten to kiss babies that were born in our absence, hug dear friends, take countless silly pictures of our dog. (Sorry if you follow me on Instagram, Henry is pretty much blowing the thing up.) Birthday parties, hometown parades, backyard get togethers and engagement dinners have all been on the agenda. The weather in the Peach State has been unseasonable cool this past week, with us being able to sleep with the windows open, which I considered a personal “Welcome Home” present from God. Oh, and I haven’t heard the National Athem once without crying like a baby slightly tearing up. I do miss all the things I said I would miss. I didn’t realize I would find it weird that no one here stares at me here. I took it quite personally at first, but now I just realize it is because I look like everyone else again. 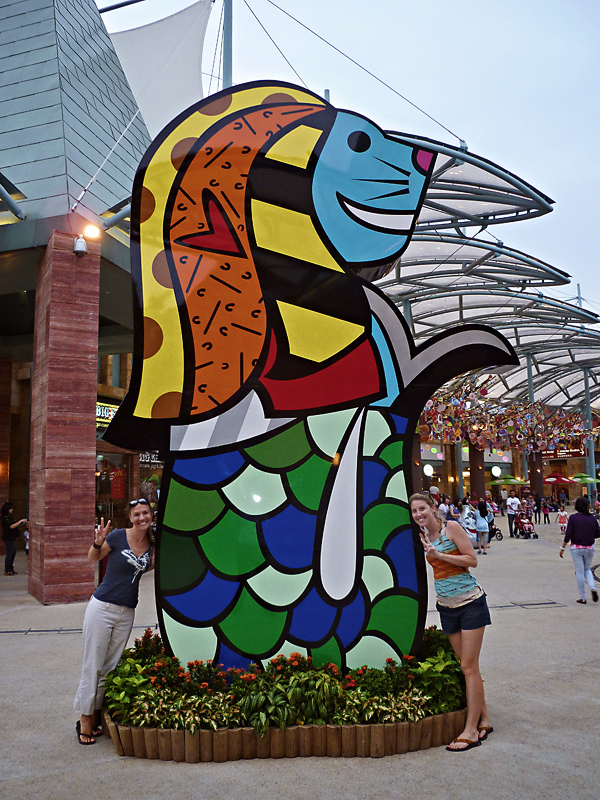 I loved (most) of our adventure in Southeast Asia. It was the trip of a lifetime. A lot of people have asked us, “Would you do it again?” or “Are you glad you went?” And the answer to both questions is a resounding “YES.” But there is something about coming home that is so soothing and grounding that I feel like I sleep better and think better and breathe better and I AM better here. Maybe it’s because we went away I feel that way, or maybe it’s not. Either way, we’re glad to be back home. And are ready whatever the next adventure might be. It seems like, for some time, I have been playing the waiting game. Waiting for the school year to finish. Waiting for Dan to arrive. Waiting to check out of our condo. Waiting for our vacation to Borneo. Waiting for my official tax clearance to come through. In between all of that waiting of course, we have been throwing away, boxing up, giving away, making piles, donating, selling, buying, saying goodbye, having another drink, sweating it out, filling out paperwork, eating our favorite foods, poking fun at, and in general have been keeping busy with the million little things you must do in order to permanently leave a country. Even when it seemed endless, everything we did got us one step closer to the good old USA. Waiting I guess, to see what comes next. In the meantime, in about 24 hours, and a short layover in Seoul, we will touch down in the home of the Brave(s) once again. Home. Just what we’ve been waiting for. About one month from now we will be spending our first full week at home after our 24ish hour flight home. As I start putting things in piles to bring home, give away, and toss off the balcony, many people have asked me what I will miss about living in Malaysia. No matter how much I can’t wait to pack it all in, there are some thing about living abroad for two years that I have grown to love that I thought I would share. Without a doubt, traveling has been one of the best part of this adventure. In our two years, we were able to go to seven countries and 17 cities. Taking a risk and living on the other side of the world wasn’t easy, but we were lucky enough to be able to tick off things on our list that we didn’t even know were on our list! Things like taking a hot air balloon ride over western Australia, participating in a lantern festival with the locals in Thailand, riding elephants, feeding a kangaroo, rock climbing in New Zealand and eating durian in Penang, Malaysia, among other amazing adventures. Plus, we got to meet some really cool people along the way. Even now, looking back at the pictures, it makes us smile at the memories. And want to rush to book our next cool vacation. 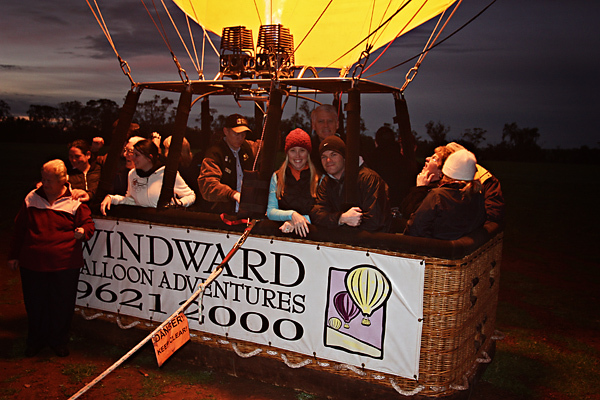 Our hot air balloon for Dad’s 60th birthday over western Australia. Both of these things are quite inexpensive here and I go to the spa and movies like I’m on one of those famous housewives shows. Facials, massages, manicures and pedicures are all things that are easily within the budget and I don’t feel (nearly as) guilty when I get them here. To go to the movies here is only about $3 USD, and although you might have to wait a little while to get the latest blockbuster movies, in my book, it’s worth the wait. I’m pretty sure you can’t even park in the parking lot of the movies for $3 at home. I’m not going to lie. I haven’t ironed a shirt or cleaned a bathroom in close to two years. We don’t have a maid (or “helper” as they are called here) live in or come every day or even every week, like a lot of people have in this part of the world, but we do have someone come every other week, which is oh-so-nice. I love that I can get any kind of fruit, at any time of the year, all super cheap. The mangos in Southeast Asia have been particularly tasty and I have a feeling they will be hard to match when we get back home. 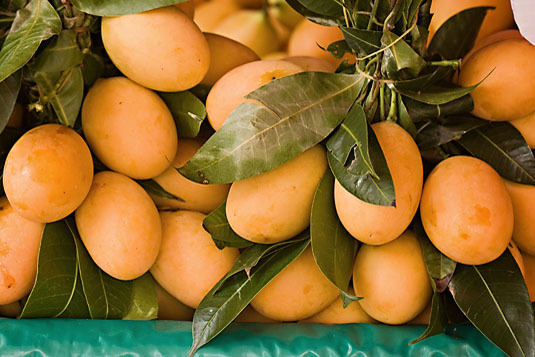 Confession: Sometimes I eat the mango like a cave person without peeling it at all. Just slice a chunk off and go. It’s that good. Thanks to the delay in when television shows are shown here, I am all caught up on the last several seasons of Desperate Housewives, Private Practice, 30 Rock, Dog the Bounty Hunter, How I Met Your Mother, Everybody Loves Raymond, CSI and a smattering of other shows that I don’t think made it even one season in the US market. I have also seen every episode ever made of Law and Order (original), Law and Order: Los Angeles, Law and Order: SVU. I’m not really proud of how much television I digested over here, but you will want me on your team for trivia if the category is mediocre television from the mid 1990’s to early 2000’s, guaranteed. Like any experience worth talking about, it’s really all about the people you are with along the way, isn’t it? We have been lucky enough to make friends with people from literally all over the world by living abroad. People that we wouldn’t have met at home and that aren’t just like us. People that have stood in the place of family for two years and who have become our close friends. People that we know we can count on to be friends with for a long time. It seems silly and small to say, but from sharing your dinners, to bargaining in Chinatown to working out in the insane heat, to crying, laughing and sometimes cursing together, thanks so much for sharing your lives with us. And, at the risk of this sounding even more like a high school year book, you will always have a place to stay at our house, where ever in the world that might be. 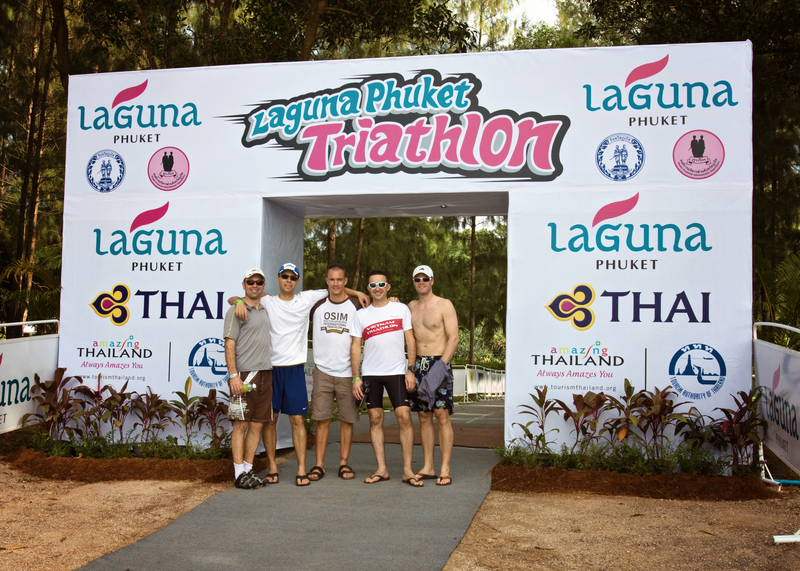 Dan and his tri buddies in Phuket, Thailand. My partner in crime on one of our many adventures!